UP BTC Merit List & State Rank, Counselling Dates: Uttar Pradesh Basic Education Board Panel has released the UP D.El.Ed merit list district wise. The UP BTC phase 1 counseling is scheduled from 14th June to 29th June 2018. 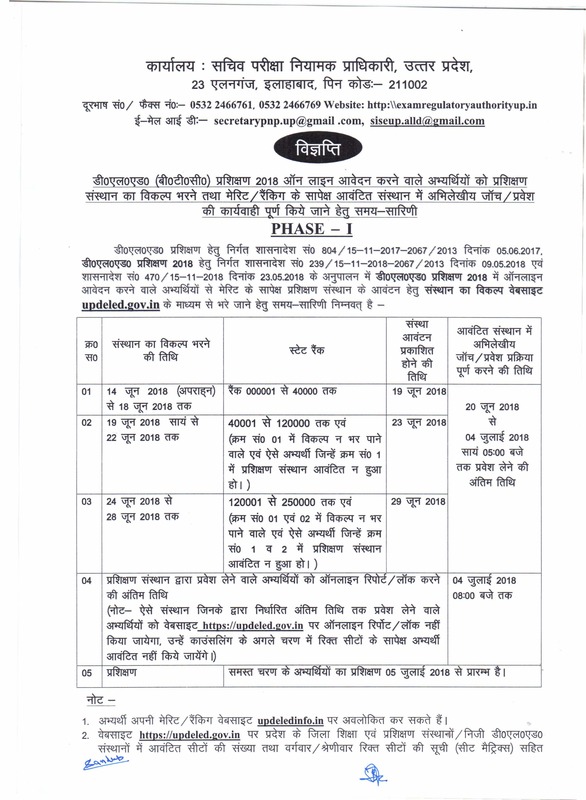 All the hopefuls waiting for UP BTC DELED Merit List can check it from the official website, updeled.gov.in and updeledinfo.in. Candidates shortlisted in TP BTC D.El.Ed Merit List can get into the next phase of document verification. The UP Priksha Niyamak Adhikari announced the UP D.El.Ed Merit list on the basis of merit scored in the graduate degree courses. The UP BTC has not taken into account of class 10th or class 12th marks into consideration while preparing the merit list. Candidates applied for D.El.Ed course can check the district-wise merit list that is accessible on UP DELED postal. 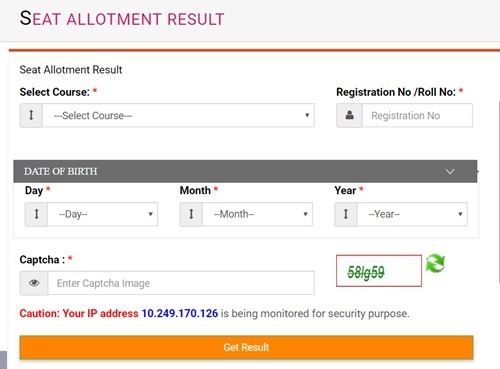 Candidates can visit UP DELED official portal to check more details. The Uttar Pradesh State Education Board offers the Diploma in Elementary Education (D.El.Ed) course annually. This is a 2-year Diploma programme offered to the aspirants wishing to become the primary teacher for class 1st to class 8th. Yearly a large number of hopefuls compete to get admission in D.El.Ed course in the state of Uttar Pradesh. Aspirants will be given admission into the corresponding course purely on the basis of merit. The UP BTC abbreviates that Basic Training Course. The competition is raising for BTC course in UP annually. Based on the merit of applicants the Uttar Pradesh DELED authorities are going to release the merit list among all applicants. Candidates shortlisted in the merit list will have to attend the counseling process, document verification, and other phases. Candidates finally allotted admission will have to report at the allotted colleges with all needed documents as per the scheduled dates. Candidates those who have not got the admission in 1st phase counseling process will have to wait till 2nd phase counseling. The UP BTC 1st Phase counseling is scheduled from 14th June to 29th June while the document verification and the complete admission process will be done on 4th July. Candidates who have got the admission will have to report at the allotted college by 5th July. As per the UP BTC schedule, the 2nd phase counseling will take place from 12th July to 27th July. And the document verification process 2nd round will be conducted on 31st July. Candidates screened in the merit list can check the details of UP BTC counseling, document verification details from the following. Note: UP BTC Merit List available on updeled.gov.in and updeledinfo.in websites. due to server down website not working. wait and check from above mentioned websites.